Puerto Rico is next on Maria’s projected path, possibly making a direct hit on the island Wednesday or Thursday. This could yield a different outcome than what was left behind from the glancing blow by Irma, and the two should not be compared when considering preparations for Maria. The National Hurricane Center says Maria is likely to be a Category 3 storm by then and their forecasters have stated multiple times this may be a conservative call. After passing through the northeast Caribbean, Maris is forecast to continue on a west-northwest track, and maybe even turn more northwest by Friday. Thereafter, a credible forecast on whether or not the U.S. will be directly affected by (likely Hurricane) Maria is just not possible yet. 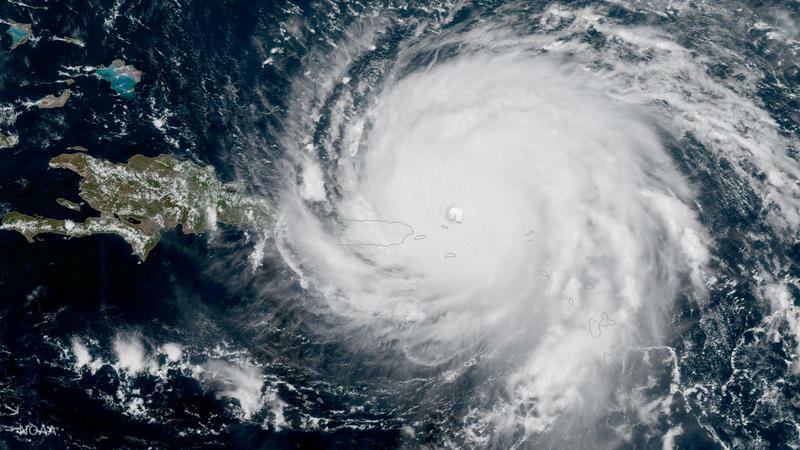 All residents in hurricane prone areas from Florida to the Mid-Atlantic states should closely monitor the latest information on Tropical Storm Maria. Copyright 2017 WUFT. To see more, visit WUFT. Irma has become the most powerful hurricane on record in the Atlantic Ocean, not including the Caribbean or the Gulf of Mexico. 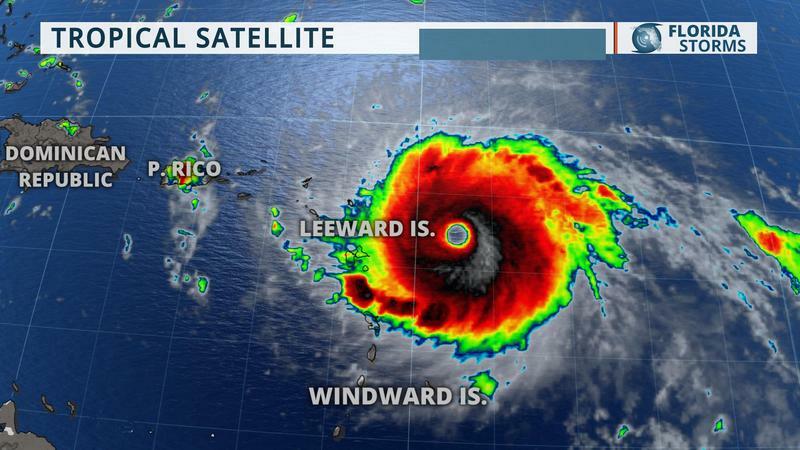 It grew in size and strength Tuesday, and could bring catastrophic life-threatening wind, storm surge and rainfall to portions of the Leeward Islands, the Virgin Islands and Puerto Rico by Wednesday. Irma could also directly affect the remainder of the Bahamas, Cuba, and even portions of Florida later this week and weekend. Puerto Ricans and residents of the US Virgin Islands are struggling to pick up the pieces following Hurricane Irma’s pummeling of the Caribbean — and Hurricane Jose is knocking on their door.